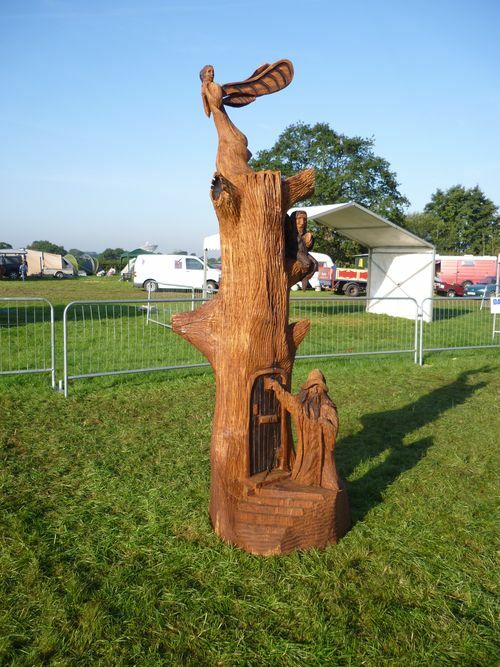 This chainsaw sculpture was created from a log of brown oak at the English Open International Chainsaw Carving Competition, held at Tabley, Cheshire in August, 2010. The sculpture depicts a tree with a small door. The Wizard is knocking on the door while an elf sitting on a branch is about to drop an acorn on his head. Menwhiule the Fairy who live sin the tree is about to fly away!